Professional VO workshops are not beginner workshops! We work with experienced, trained actors who are serious about pursuing voice-over work -- and/or voice-over talent with professional experience who want to become more competitive in the VO market. If you are a complete beginner looking to get some training, feel free to email Beth if you are uncertain whether your experience will meet the workshop eligibility requirements. Beth@bethchaplin.com Or, see the links at the bottom of this page under VO Resources. The voice-over market is more competitive than ever, making your read more important than ever. Our in-studio workshops are all about voice acting techniques and the art and craft of voice-over. Our focus is on you and your copy interpretation to create your most bookable reads. This is about making you more marketable, not how to market yourself or how to build a home studio. Beth is a rockstar whose ability to guide is incredible. Tom is a badass whose feedback cuts through the small talk and gets to the heart of the matter. I'm feeling a noticeable difference in my first dozen scripts this week. Thank you! I feel more prepared to step into an audio booth with confidence rather than self-doubt. 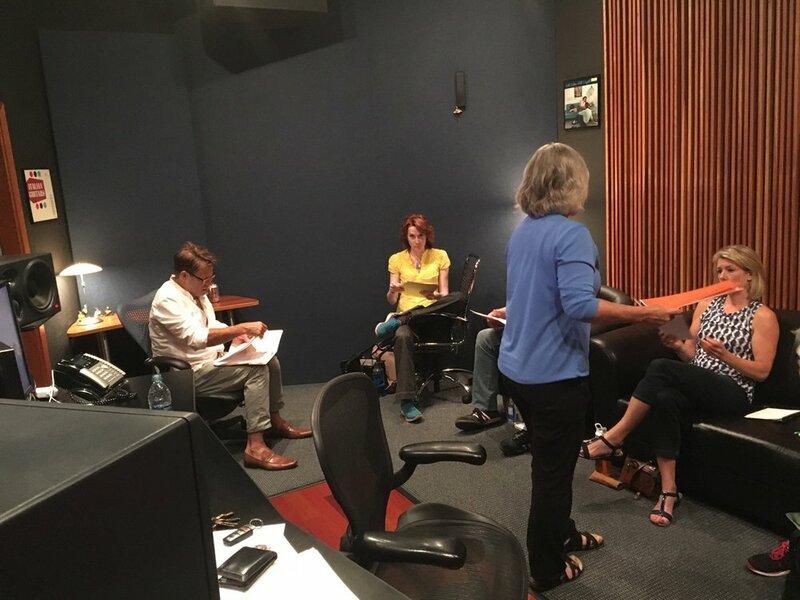 If (you) are at all interested in becoming a VO actor, this is a SAFE setting to get in front of the microphone and try it out in a real setting with people who know what they are talking about...they will give you honest feedback in a constructive and respectful way. The beautiful professional audio studio at Undertone Music. A workshop that focuses on the art and craft of voice acting. You’ll learn techniques to deliver a more truthful, marketable read from Coaches with at least 20 years in the business. This is not a Workshop about gear or marketing. $250 for Pro VO Workshop - Checks preferred. Paypal accepted, but a $10 service fee will be added. Enrollment limited to 10 students so sign up quickly. Deposit of $50 is required to hold your place in the workshop. If you do not send in a deposit, we will give away your slot if there is a demand. Balance due one week prior to the workshop. Want to brush up on your reads? Check in with a coach on your progress? Focus more intently on one or more aspects of your VO auditions and work? Then this is the class for you. This 3 hour workshop is a less formal atmosphere and smaller group size. We occasionally offer Workouts that focus on Copy Analysis and The Art of the Narrative Read. $150 for Workout - Checks preferred. Paypal accepted, but a $10 service fee will be added. Enrollment limited to 8 students so sign up quickly. Deposit of $50 is required to hold your place in the workshop. If you do not send in a deposit, we will give away your slot if there is a demand. Balance due one week prior to the workshop. Beth is a leading professional actor based in the Twin Cities. Her extensive voice-over/on-camera portfolio includes hundreds of radio and TV commercials and over a thousand industrial and corporate training programs to date. Beth has a knack for technical reads and can make even the most complicated copy sound clear and conversational. Her ability to interpret, adapt and translate any direction into an immediate result always keeps her clients coming back for more. This workout will cover the basics of a “commercial” read in both the Television and Radio Markets. Leigha Horton has spent the past 11 years specializing in VO for national TV and radio commercials, film trailers, museum exhibits, documentaries, training films, educational games, animation, and audio books. She is guest coaching the “Evolving Trends in Commercial Reads” VO Workout on Monday, May 20th. This two-day in-depth narration VO workshop begins with corporate and e-learning narration then moves onto documentary reads. A special new feature of our narrative workshop is to take an existing TV Doc with 2 finished reads (the first was replaced with a new read) and compare them to your read and then see how your read works with the music and images. This is a unique opportunity! Tom Williams is an award-winning scriptwriter and director. He has created video programs for dozens of blue chip clients, including Andersen Windows, General Mills, Mayo Clinic, 3M and U.S. Bank. Prior to founding INTJ LLC, he was the Creative Director of CME Video & Film at Campbell Mithun Esty Advertising. He has many years of experience working with union and non-union talent on a wide diversity of programs. 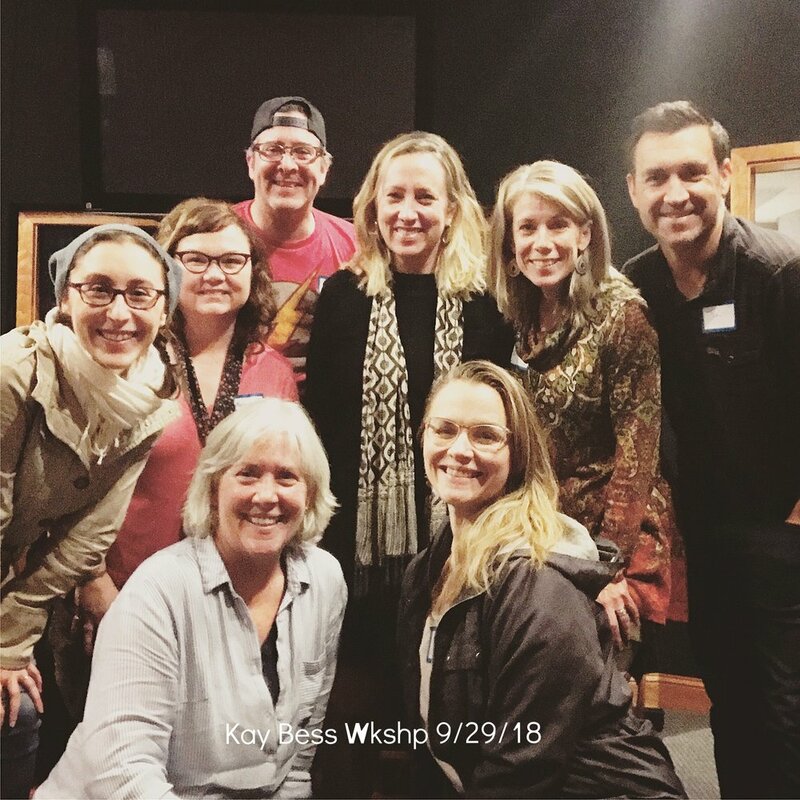 For over 25 years the founder of Voices Voicecasting, Mary Lynn Wissner, has been the casting director for the voices of thousands of TV, radio, animation, film, games, e-learning and audio book productions. In the Fall of 2019 she will be coming to our VO Workshop as a special guest coach. Dates TBD. Unable to attend, but want to stay informed? Sign up for the mailing list by filling out the form below. For beginners, sign up for The North Loop Voiceover Workshops run by Jerry Horwath. Once you have taken a couple of workshops with Jerry and Greg, we can look at getting you into our Intermediate Workshops.